I grew up in southern New Jersey near the little town of Rosenhayn. Following graduation from Bridgeton High School I attended Colorado State University where I majored in Wildlife Biology and enlisted in the Army ROTC program. 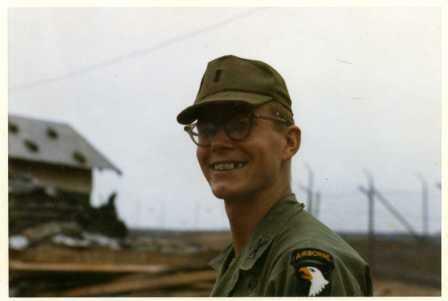 My basic training was held at Fort Riley, KS during the summer of 1968. By March 1969 I had graduated and received my bachelor degree, a commission and orders for Fort Benning, GA with eventual overseas assignment. Fort Benning meant 9 weeks of Infantry Officer Basic Course and for the heck of it and the $11 per day TDY pay, volunteered for 3 weeks of airborne training. This was followed by an assignment to lovely Fort Polk Louisiana. At Fort Polk I met with the Colonel to receive my assignment. My fellow officers talked about the possible good and bad assignments to be had on post. All seemed to agree that assignment to Tiger Ridge, 32 miles from the main post was the least desirable place to be. As the people around me got training company’s assignments and range assignments the colonel finally got to the name Widjeskog. He remarked that seeing as how I had a degree in wildlife biology, it was only fitting that I should be assigned to work where there was a lot of wildlife… Tiger Ridge. (To my knowledge, this is probably only the second or third time in the history of the Army that someone was assigned based on his or her pre-Army knowledge). In spite of the rumors to the contrary, I found the Tiger Ridge assignment good and was sorry to see it end when it came time to report to the Canal Zone for Jungle Survival Training. 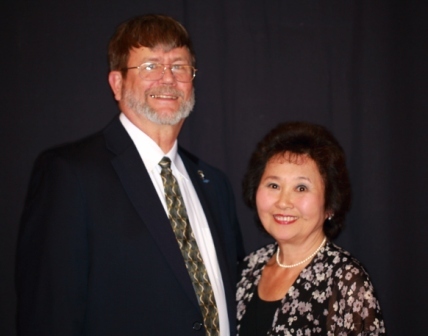 Between Fort Polk and Panama, my wife Kathy gave birth to our daughter, Denise. I got to see her for a few weeks before having to ship out to Vietnam. Once in country, I soon learned I was assigned to the 101st. Following SERTS I met Col. Lucas and walked over to my assigned company, Alpha 2/506. Within a day or two I was on a helicopter heading over the jungle to join Alpha and Capt. Burkert somewhere east of Ripcord. It was now late April. I replaced Lt. Kelly as platoon leader of the 2nd Platoon and quickly came to depend on my platoon Sergeant, Leverett. My first true exposure to gunfire took place on May __ when Robert Lowe of first Platoon was killed and Tiny Aanonsen was wounded. I remember moving up to the front to try and spot the bunker used by the NVA and hit it with a LAW. We found it and hit it but it was empty which is why I didn’t get killed or wounded. That was the first of a number of times I found myself frightened but doing what I was trained to do in spite of the fear. During this time we moved through the jungle looking for NVA and usually finding none. As a wildlife biologist I found the jungle interesting when I had time to notice. Within two weeks my radioman, Sgt. Michaels (? ), behind me, was wounded by a trail watcher and shipped home. Sometime after in the end of May we crossed the Rao Trang and were flown onto FSB Ripcord for a brief one-night visit. The next day on the 3rd of June headed out to Hill 1000 in search of more NVA but by now we were under the command of Capt. Hawkins. He is a graduate of West Point and the troops had mixed feelings about him. Some felt he would be good and others were concerned he was out for glory and would put us at risk to get there. The average GI by this time of the war was only interested in getting home intact. As we went up the hill our point man spotted three NVA sitting in the trail eating. He fired one shot and either stopped or his gun jammed. Regardless, his slack man failed to back him up and they both beat a hasty retreat. We brought in artillery and then prepared to move forward. The point and slack team would not go. Weiland Norris and Sgt. Koger moved up to the job. Shortly after they moved forward the NVA opened fire killing Norris, wounding the Sgt. and nicking another Sgt. Bill Wagnon. After the shooting was over we medivaced the two Sgts. And SP4 McVey for wounds. Six days later we were in Camp Evans for Stand Down and re-fitting. Our next assignment was to secure FSB O’Riley, which had a battery of ARVN artillery on top of the steep sided hill. While there a wounded NVA soldier surrendered after failing to find his unit. On a more deadly note a Recon unit walking onto O’Riley, hit a mechanical ambush our company had set up when they missed the guide who was supposed to lead them around it. One trooper was killed and several injured when only one of the claymores went off. Things were quiet on O’Riley but by the end of the month things were heating up around Ripcord. During the early morning of June 2, C 2/506 was hit at their NDP (night defensive position). This resulted in 8 dead including Capt. and wounded. We felt certain we would soon be getting orders to head into the jungle around Ripcord. Finally on July 10 we CA’d into the jungle east of Ripcord and on 12 July we assaulted Hill 805 with D 1/506 after an artillery barrage and tear gas. Conveniently the NVA had not chosen to contest the hill at this time. That night they decide to come back and they attacked Delta. They apparently didn’t realize Alpha was on their flank so the two companies had the NVA in a bit of crossfire. In spite of this Delta still took some wounded. The next day, 13 July, we moved off the hill and moved into the valley south and east of Ripcord. For much of this time we worked as one or two units moving in support of each other but only once in a while joining together. We were nervous most of the time and always expected to make contact. By the 18th the entire unit was with the company CP as we waited for re-supply. As we watched from the LZ we heard and saw the Chinook take .51 cal rounds from an NVA gun and crash to the ground atop the ammo depot on Ripcord. Tremendous series of explosions ensued and we heard shrapnel hitting the trees near our LZ two kilometers from the firebase. We were certain many were being killed on the hill but were more concerned that our mail might be on that hill getting destroyed. Later we received re-supply, mail and three or four new guys who got to see the explosions as the flew to join us for their first day in the field. So in all things were fine for us in the jungle even as the hill continued to smolder. The next day two NVA walked up on the middle of our column much to the surprise of Capt. Hawkins and his RTO. The Captain was quick and has shot both of the NVA before they could get their rifles off their shoulders. One of the two had been wounded on Hill 805 earlier and was returning to his unit when they ran into us. The other was a tall man who appeared to be a replacement or perhaps a Chinese advisor. On 20 July, First Platoon found and tapped into a commo line deep in a valley SE of Ripcord. ARVN SSgt Long listened in and told us it was a line between their mortar and Regimental HQ. Ambushes were set to intercept anyone who was coming to repair the line. This led to a number of NVA blood trails as the ambush was sprung. SP4 Miller of 2nd Platoon later spotted an NVA coming onto a rock to scout us. He killed the man with a well-placed M-79 grenade. Shortly after these encounters Hawkins had us move out of the deep ravine and onto the hillside for the night. The next morning the lead platoon encountered two NVA soldiers moving up the trail towards our company, probably to scout our position. The point man fired them up killing one and wounding the other whom fled for his life. He was not found in spite of the blood trail. After re-grouping the lead platoon returned to the site of the dead NVA soldier on the rock. His body had been removed. It was decided to move northwest to a new NDP. Captain Hawkins had 2nd Platoon drop back to pick up any NVA that might be following. We in turn had Sparky Journell and another GI drop back to pick off any trail followers. After a ½ hour wait or so, they spotted two NVA soldiers coming up the trail. They were fired on by the two GI’s without returning fire. One was killed and the other escaped. The dead man proved to be a recon Sergeant who had drawn a layout of the Ripcord Firebase in preparation for an assault. We soon moved into a new NDP and around 2300 hours heard an explosion in the vicinity of the NVA body we left behind. We had attached a grenade in hopes of injuring additional NVA. The sun rose on the 22nd of July. I anticipated getting mail this day with re-supply or relocation since it was my 24th birthday. Other people had plans for us, which I did not appreciate. As we moved about, we caught the odor of fish and rice that was typical of the NVA. Patrols sent out from the NDP did not spot anything but all were on edge. We attributed the odor to all the captured NVA equipment we were now carrying from the NVA killed over the past few days. Apparently higher HQ was in a flux about what to do with Ripcord and us. All the other units had been pulled from the AO (area of operations) except those on Ripcord and Alpha Company. Hawkins had decided to move to the southwest for extraction and had First Platoon move there to secure a LZ. Lt. Col. Lucas had other ideas and wanted us to move north to a LZ that he felt could be better covered by artillery. First Platoon was called back as the rest of us waited on the NDP to move out. I only had 16 men in the field with me this day. I don’t recall all that were there but beside the point man I remember our medic Martin Glennon, Platoon Sgt. Johnny Brown, Larry Keys, Dave Counts, Anthony Galindo, Tom Schultz, Sparky Journell, a new guy SSgt. Gary Foster, RTO Mulvey, grenadier Sp4 Miller, my RTO whose name is lost to me, Rifleman McVey as well as five others whose names elude me after all these years. After we had moved from the NDP perimeter about 150 to 200 meters, the point man spotted mortars and NVA in the trail. Rather than firing, he dropped back to report his find. Upon questioning, he said he hadn’t shot cause he thought they might be ours. I took the squad and moved up to see if we could make contact. As we approached the NVA opened fire on us with RPG and automatic weapons. At the same time we heard the mortars popping off as they shot tear gas onto the rest of the company on the hill behind us. The fire about us dropped a tree in front of my point man and hit my radioman in the leg. At the same time an assault was taking place around my platoon as the NVA charged the hill and my now cut off platoon. Those of us in the front t of my column struggled to drag my RTO back to safety while I provided covering fire. In the process we lost his gear and radio. At the rear of my column, Sgt. Brown and his RTO were under fire. He took a round through the face, in one cheek and out the other taking with it part of his tongue and jaw. I t was all he could do from that point on to keep out of shock and not choke to death on his own blood. His RTO Mulvey was hit with shrapnel and force to leave his radio behind as he was dragged to cover. With these two was SSgt Gary Foster who arrived in the jungle with us on the 18th of July. He started firing at all the NVA who showed themselves. For a while they were coming down a trail at him but he kept dropping them. After a dozen or more (no one was counting) they decided it was better to snipe at Gary from behind trees rather than charge. As they shot at him, he would toss a grenade at them. While he was inflicting damage on the NVA, Gary received his share of injuries. He had numerous wounds from NVA grenades and had his shirt torn to shreds by a satchel charge that gave him a second-degree burn and burst both his eardrums. Soon no more shots were being directed towards this trio of GI’s and Gary was able to herd his two wounded charges into the perimeter with the rest of Second Platoon. Sometime during the opening salvo fired at us by the NVA, Tom Schultz of Pittsburgh, PA was killed as he maneuvered to a new position. When Gary got to the perimeter we were down to 16 men but our perimeter was tight and we were keeping the NVA at bay. Things were going less well on the hill where the tear gas and high explosives mortars hit. We had lost our two working radios but we did have a third, which was due to go in for repair since it worked sporadically or not at all. The RTO’s began working to get this up and broadcasting. Soon after the sergeants got into our perimeter, the NVA made a concerted effort to get rid of us. Al l of a sudden we were hit from all sides with grenades, small arms fire and satchel charges. Since the NVA were very close and our perimeter, very tight, only a few of the packages and grenades land within us. As this went on we returned fire in an effort to keep them out of our space. Sparky was fighting hard on the north end of our formation when he was hit and killed with shrapnel from a grenade. Others received lesser wounds form that and other grenades than landed among us. Tony Galindo was hit in the cheek badly enough to close one eye and eventually give him tunnel vision. I received only minor flesh wounds from the same grenade. This assault lasted only ten or fifteen minutes (I really don’t know), but it was hard to see very far due to the vegetation and the smoke. After that assault failed the NVA continued to pop at us but not at the same level of intensity. The third radio was finally working and I was soon able to contact Hawkins. I reported my two losses and he knew of at least five deaths in the rest of the company on the hill. He had assumed we were gone since he had not heard from me since the battle started and by now perhaps an hour or more had passed (who knows?) with the radio were able to get better coverage by artillery and in-coming helicopters and airplanes. As the NVA continued to fire on us and toss an occasional explosive charge, Gary Foster asked me to give him some covering fire so he could throw a grenade. I was up on my knees shooting in the direction of the NVA as he threw his grenade. Out of the corner of my eye I saw him heave the bomb and started to get down when it exploded. A piece of the shrapnel flew back at us and hit me in the mouth, shattering a tooth and lodging in my gum. Luckily I had kept my mouth shut or the piece might have gone into the back of my throat or skull. With a wound no worse than a visit to the dentist, I kept on fighting. It was during this period that Hawkins had a jet drop a pair of 250-pound bombs on the enemy positions east of us. For whatever reason the bombs dropped much closer than we wanted. One landed on the end of the hill the company was on, but did not go off. The other landed 100 meters from my position but on top of the NVA. When the bomb went off the sky turned black as the sun was blocked and the trees were cut off down to 8 feet in height. When the smoke cleared we could actually see 30 or 40 meters away if we rose up from a prone position. Before we couldn’t see 5 meters. Minutes later I was on my knees assessing the situation as a jet passed over. I then saw a NVA machine gunner running down the trail away from the company coming towards us. I looked to see if anyone had spotted him and realized that only I could see him. I shouldered my rifle and quickly squeezed off 18 rounds in his direction. As each round hit the bushes and trees around his head and shoulders I saw him look left and right for a way to escape. All the time I kept thinking to myself “I need to aim!” Finally I was out of bullets and he dove into the brush to his right. I quickly got on the radio and called in a Cobra Gunship to fire rounds in the direction he had fled. As they prepared to fire rockets, I warned all my guys to keep down until the firing was done. For a reason known only to him, Gary Foster decided to look up and watch the show. As the rockets hit, he saw a fragment bouncing along the ground towards his position. He later remarked it moved in slow motion until it hit him in the nose adding a broken nose to all his other injuries. By 1800 hours the fight was over and we had managed to link up with the remains of Alpha Company. Over all, Alpha had 14 killed and 55 wounded. Six men made it through the day unscratched. Although the NVA had pulled out, we prepared for their return that night. We re-established positions on the old NDP and waited for the NVA. Through the night were the recipients of flares from the over head aircraft which waited for the NVA to hit us once more. Nothing happened! The next morning Delta 2/506 walked into help evacuate us as we blew a LZ on site. By 1200 hours Delta and we had left the area and returned to Camp Evans. The camp looked better than I had ever imagined! I returned to the field with a basically new platoon in august and remained there until late September when I received assignment as supply Officer for the Brigade Headquarters Company till I left “Nam in March 1971. Six months later I was out of the service and working for NJ Division of Fish and Wildlife as a wildlife biologist. Today I still work for the same organization, have a grown daughter and son and have managed to stay married to the same woman who selected me back in 1968. CURRAHEE!! !